This is a guest sponsored article by Carlsberg but MANFACE approves this message and I will be sure to get a personal review of the Carlsberg products on very soon! 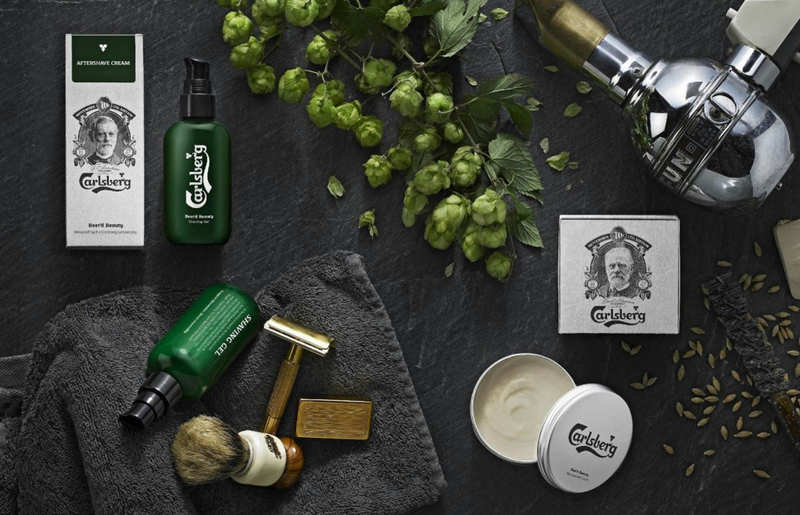 Men who love beer might just find this Beer’d Beauty series by Carlsberg, probably the best grooming products in the world! This trio of products consists of a shaving gel, aftershave cream and a moustache cream. It makes a great gift set for men who love their lager as each bottle contain 0,2l of freeze-dried Carlsberg’s famous beer! With all antioxidants and antibacterial acids frompremium hops, Carlsberg beer’s beauty products help you grow and groom great beards and mos. They also help all the bros out there, as all proceeds go to the Movember foundation. Order your set today. Support Movember. Shave responsibly. Watch the video; click your way through to read more and order your set! This article first appeared on MANFACE written by Thom Watson. It was published on Wednesday 4th November 2015 and was last updated on Monday 3rd April 2017 at 1:18pm. It's categorised under Editorials, Sponsored where you'll find more related content.